I bought the car the day I went and looked at it. It was a great experience and Mark really went out of his way to help me. I was very pleased with his professionalism and courtesy. They gave me a great day and a fair trade-in. He was upfront and didn't play games with me. The car has worked great. 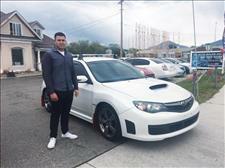 Congratulations to Benjamin for scoring on this beautiful Subaru Impreza STI. Benjamin was in Japan on active duty when he laid his eyes on this ride. He thought the price was to good to be true! He got in contact with us via email, he scheduled his appointment came by today and loved it! Benjamin was approved right away and drove off same day! Enjoy your new ride! and thank you for your service! ???? Chris was determined to get into the car of his dreams as soon as he saw it listed on our Facebook page. He had a very tight schedule so he came and left a deposit before it was sold. 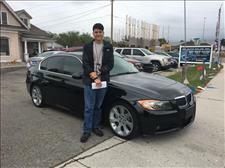 As a first time buyer with some money down chris was approved right away with a $200 payment and a low interest rate, he now is driving in this beautiful bmw 335i fully loaded! Congratulations! Kelly Rollins came over the weekend looking at a Ford Focus we had for sell. After seeing that it wasn't what he wanted we then showed him other options we had available. 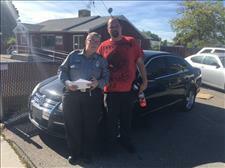 Not only did he find the car he wanted but he was able to get financed through a credit union of his choice. 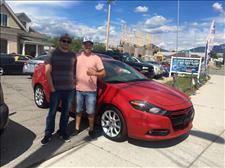 He is now a proud new owner of this beautiful 2013 Dodge Dart Rallye. It was a pleasure helping our close friend jazmin and her husband Melvin. They were in need of a second car. This was Melvin's dream car. After looking into their situation we were able to make it happen. 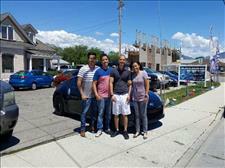 They are now proud owners of this beautiful 2013 Nissan 370Z with only 25k miles. Dustin was in the market for a reliable vehicle for his son. After seeing this online he called in, and left a deposit over the phone. They traveled from Shelley, Idaho to make this purchase. 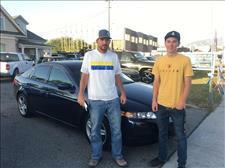 Dustin's son is now a proud new owner of this beautiful 2006 Acura TL. 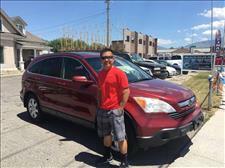 It was a pleasure doing business with Mr. Hoang. He was in the market looking at some vehicles for his daughter. He came across this Honda CRV. It was such a good deal he couldn't say no. The transaction was in and out! We are glad we were able to help him get into exactly what he was looking for. Thank you for your business. Britney was in need of a vehicle, nothing to expensive but something that met her needs. After leaving a deposit and bringing her own set up financing. 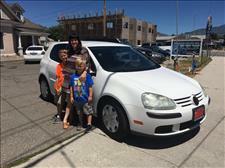 She happily drove off with this great Vw Jetta! Congratulations! 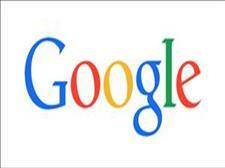 Guys if you need help to rebuild your credit do it the right way. 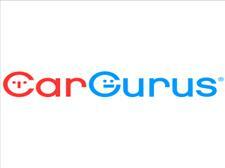 We will lead you to the best financing possible. Come visit us or give us a call with any questions! -Thank you again! You guys were amazing, and such a pleasure to work with. 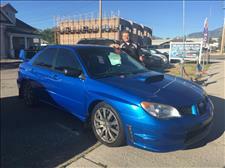 After receiving numerous calls and different inquiries regarding this WRX we knew it wasn't going to last! Jacob being one of the callers,he came in for a test drive. Not only did Jacob show up but as well as 2 other customers at the same time. Jacob right away put a deposit to reserve the car for him. After dealing and working on Jacob's financing process everything turned out great! 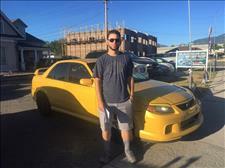 He now is a proud new owner of this beautiful subaru Wrx. It was a pleasure doing business! David walked in and saw that we had this vehicle in stock. After telling us that he used to have one of these and that his desire was to get another one, we gave him an awesome cash deal. Same day he drove off in this 2003 Mazda Protege MAZDASPEED. Remember, if you guys have a cash offer let us know, we'll give you the best deal possible. Bernardo came in with a trade, and wanted to upgrade into something much newer. We were able to get him financed with great payments. 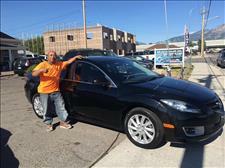 Not only were we able to to pay off his previous vehicle but he is now a proud new owner of this beautiful 2012 Mazda 6. They responded very quickly. The process was fast and easy. They helped me over the phone. Didn't have to stop by. Bought the car I've always wanted. Very happy with their customer service !!! Definitely going back in the future. Small family business that was all over customer service. Got call backs, help etc. Friendly and very negotiable for those not afraid to have done their homework and willing to bargain. Bought the car for my daughter with a good experience for both of us. Thanks guys!! Such an amazing buying experience! They have a wide selection of autos as well as the best staff! It was a super quick and easy process thanks to them! 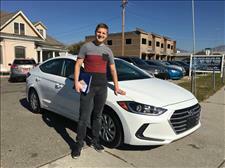 Mike was able to get me into the perfect car with an amazing price! Definitely recommend! Exceptional! These guys still understand the meaning of customer service. A concept this industry has forgotten all about. Extremely satisfied. Definitely returning customers. Thank you MG Auto Sales, you've made us want to come back.